Stargazing! Unless visitors look to the night skies, however, they might miss one of the city’s biggest attractions—the unobstructed views of the heavens. 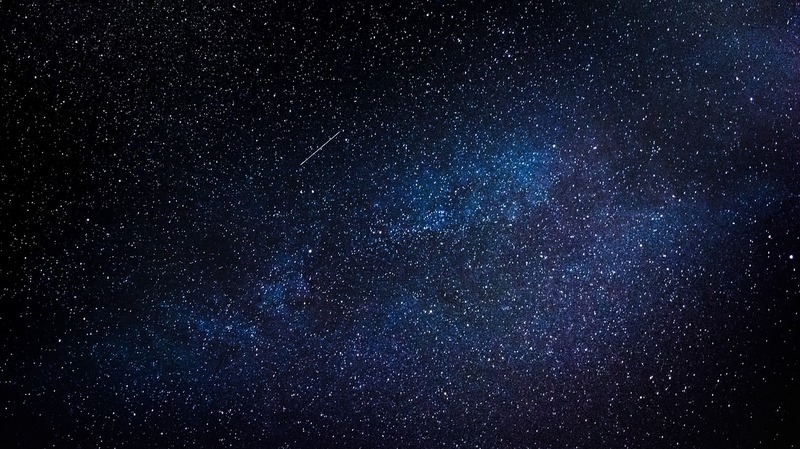 The night skies over Sedona are so exceptional for stargazing, in fact, that the city was awarded the prestigious Dark Sky Community designation by the International Dark-Sky Association in 2014. The reward for visitors for Sedona’s intentional steps to avoid light pollution is the ability to view stars, planets and constellations not visible from most other locations. There are several locations for star gazing such as Baldwin Trail, Marg’s Draw, and Turkey Creek. Sedona sits approximately 100 miles south of one of the seven natural wonders of the world, the Grand Canyon. You can enter the park by train or by car. If you choose to go by train, the classic train cars of the Grand Canyon Railway depart daily for a 2 ½ hour journey featuring costumed singers, storytellers, and even train robbers. At Grand Canyon National Park, you can drive to designated overlooks, walk along the rim’s edge to Grand Canyon Village, rent bicycles and hike into the canyon. Some activities, such as rafting, mule rides and the eight-mile hike to the turquoise-blue waters of Havasupai Falls, require weeks or months of planning, but they are well worth the extra effort. There are few feelings more exhilarating than exploring Sedona by mountain bike, racing down steep declines nestled within the stunning red rocks and riding over hills amongst dense, lush forests. Whether you’re a seasoned veteran who brings their own bike or you’re looking to try out mountain biking for the first time and need a rental, there are many options for rentals and trail riding in Sedona. Mountain bikes can be rented at Absolute Bikes and can ride to many trails. Absolute Bikes is located 5 minutes from either home. The Hudson calls itself a neighborhood restaurant and that is true. You almost always need a reservation for dinner. Start with the beer-battered Calamari topped with julienned vegetables and served with a spicy chili-paste orange marmalade. The Hudson Mushroom Burger is a house favorite. The burger is adorned with Portobello mushrooms, spicy jalapeno bacon, haystack oion strings, arugula and truffled Gouda. Don’t forget the 8 different style brushetta as an appetizer. Happy hour daily from 3-6pm. In the spring of 2015, Mark and Lisa Shugrue embarked on a collective vision to create an upscale, yet casual, local neighborhood restaurant.The Hudson, an American eatery, welcomes you daily for lunch and dinner with chef-driven food, great cocktails and wine, and a fun, inviting, family-like atmosphere. Chef Jeff Storcz pairs sophisticated comfort food with genuine hospitality in a relaxed urban atmosphere at an exceptional value. The menu combines the very best simple, yet hearty, dishes ranging from chopped salads to juicy burgers, and truly great fish, chicken, ribs and steak. Their place is industrial chic with an open dining room, central bar, lounge and the best deck in town. Sedona not only offers astounding natural beauty, it is also home to a thriving arts and culture scene, with art galleries, historical attractions, museums and art festivals that will enrich and inspire. Today, Sedona is home to more than 200 artists of every medium and aesthetic bent. It is an art community of ruggedly individualistic expression, from cutting-edge contemporary to visionary, Native American to modern realism. 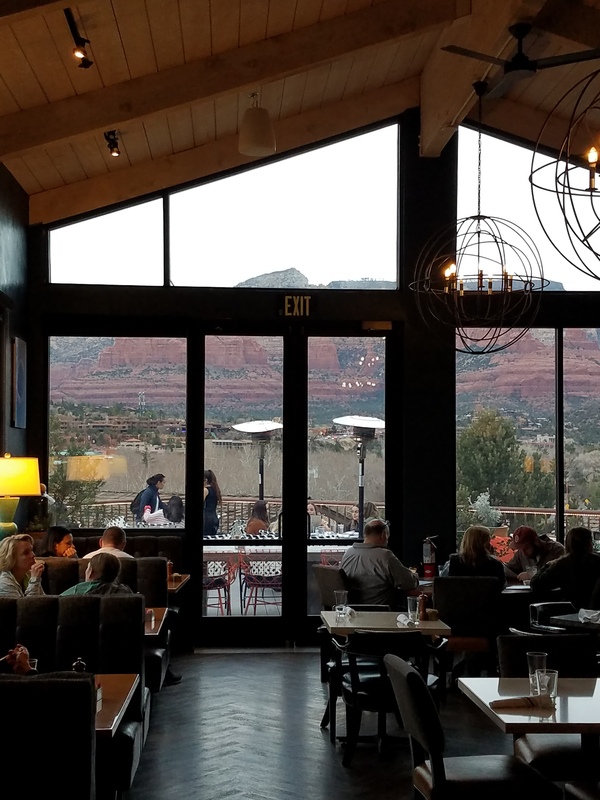 This burgeoning level of cultural activity helped foster Sedona’s reputation as a destination. Sedona now rivals Santa Fe and Scottsdale in its richness of the arts. Where there is art, there are galleries, and more than 40 exhibit a wide spectrum of Southwestern, Western and Native American arts. The galleries showcase contemporary, representational and traditional artists who are known nationally and internationally. This creates a full calendar of openings, artist receptions, demonstrations and workshops to keep the art aficionado entertained year ’round. From 5-8 p.m. on the first Friday of every month, Sedona’s most prominent galleries host an evening of openings, technique demonstrations and receptions. The Sedona Trolley offers free transportation as it makes a continuous loop among the studios. Details: Sedona Gallery Association, 928-282-7390 or www.sedonagalleryassociation.com. The Pink Jeep Tour is a must do on your visit to red rock country. 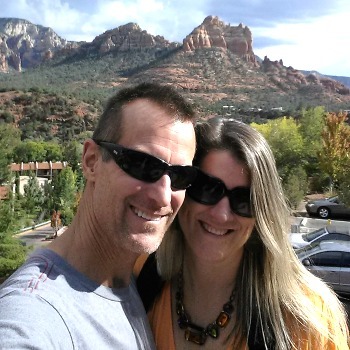 Take a tour with an experienced guide on a fabulous excursion for all ages in Sedona! These photos taken from their most extreme tour, The Broken Arrow tour which is their most popular and the original tour that started the company. There are 360 degrees of stunning wilderness and not to be missed adventure! 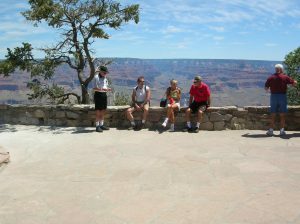 visitors find themselves here just on their way to the Grand Canyon. If a visit to the Grand Canyon part of your plan, we highly recommend that you book yourself a Sedona hotel room or vacation rental for a couple of nights. Sedona is also a fantastic home base to visit all of what northern Arizona has to offer. From Sedona jeep tours, hiking, Slide Rock, and Oak Creek Canyon to spiritual healing, massages, psychic readings and energy vortexes, Sedona will have your senses buzzing for days! Sedona, AZ has become a mecca for all sorts of communities: spiritual healers, mountain bikers, hikers, artists, nature photographers, and even film makers. This vibrant and stunning area of Arizona’s ability to attract and accommodate so many walks of life has created and nurtured an eclectic, unique culture unlike anywhere you’ve ever experienced. Sedona is truly one of a kind, and visiting Sedona will be an experience not easily forgotten. There are veritably hundreds of things to do in Sedona. There are enough activities to satisfy a life-long stay, so the only trouble with planning a vacation to Sedona is how to manage to do the “very best things” in a short amount of time. If you have only one day in Sedona, make the most of the day by arriving in Sedona as early as possible (allow for driving time from Phoenix or where ever your trip begins.) You can take a self-guided driving tour, a hop-on-hop-off trolley tour, do a short day hike or an ever-popular Jeep tour. Spend time meandering about Tlaquepaque, Uptown Sedona, and the various art galleries, eateries and shopping centers therein. Drive up Oak Creek Canyon and back, stopping at West Fork or Slide Rock for a lovely, verdant hike as long or as short as you like. End the day watching the sun go down from Airport Mesa. A two- to three-night stay is the ideal length of stay for the majority of Sedona visitors. Use the extra time to heal and focus inward, or get out and explore outward. Book a day of restorative spa treatments at one of Sedona’s acclaimed day or resort spas to quiet the noise of your everyday life. Or pile into the car for more driving than hiking. Head for West Sedona for additional shops and dining and a bit beyond toward Page Springs/Cornville to sample the terroir of Arizona wine country; venture down Highway 179 to poke around the Village of Oak Creek’s shops and restaurants; or even take a day trip through cute-as-a-button Cottonwood to the funky former ghost town of Jerome. Sedona is so laid back, almost nothing (except guided tours and the sunrise and set) happens on a particular timetable, so relax and go with the flow of Sedona’s palpable energy. If you can’t see it all in 2 – 3 days—and we assure you, there’s always more to do—come back year after year like many visitors, and do something different on your next visit. Our Tasting Room is open 7 days a week, 365 days a year. We welcome you to join us Sunday–Wednesday, from 11 a.m. to 7 p.m., and Thursday to Saturday, from 11 a.m. to 9 p.m. In our Tasting Room, not only can you sample our wines and enjoy our delicious bistro offerings, but you can also peruse a gallery of local artists and check out our weekly line-up of live music. We get a little busy on the weekends, so if you find yourself having to wait for a spell, relax on our shaded front veranda or stroll our beautiful grounds. Also, parking can be tight when we’re busy, but our friendly parking attendants will help guide you (and your car) to a spot. 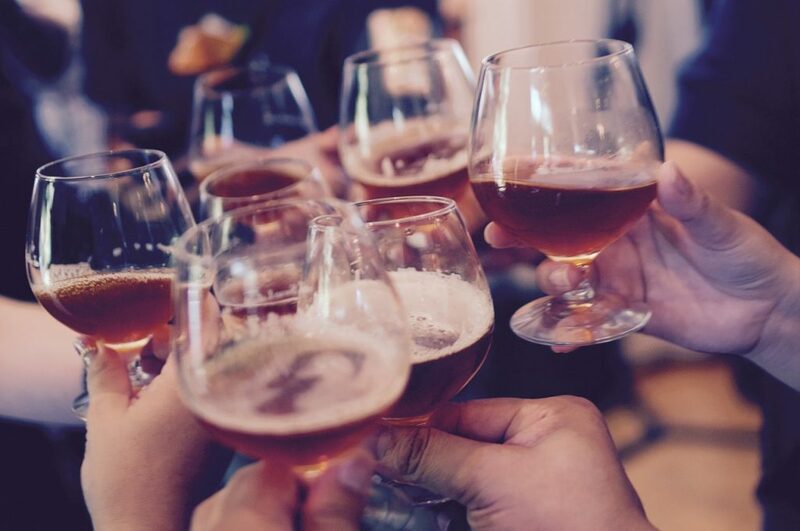 Simply choose a flight (we offer a variety of flight styles), sit back, and let our expert tasting room staff pour and educate. Each flight costs $11 and includes five tastes, plus a souvenir tasting glass. Want something extra special? For $25, you can order the Reserve Flight, which includes five specially selected, limited-edition wines. There’s also our Library Wine menu, an offering of some of our best wines that have been intentionally cellared for release at the optimum time. Of course, you’re not limited to tasting flights. Almost all of our wines are available by the glass or bottle. Our flagship tour, this is a 60–90 minute guided exploration of Page Springs Cellars, where you’ll get an insider’s look into winemaking. You’ll learn the history, culture, and process of winemaking, from grape to bottle, plus you’ll get 5 tastes of our award-winning wines, including a special tasting pulled directly from barrel. Explore areas of our grounds not open to visitors, including our estate vineyards, cellar, barrel room, and crush pad. Bonus: You’ll receive a souvenir glass to take home. Friday, Saturday, Sunday: 12 p.m., 2 p.m., 4 p.m.
First and last Saturday of the month, no 4 p.m. tour. Groups larger than 8 require special arrangements. Guests may buy out a Winery Tour for an exclusive, private reservation. This is subject to availability and costs a one-time additional fee of $100. The Oak Creek Brewery & Grill has been packed for lunch and dinner since it opened its doors in 2001. It is centrally located in the Tlaquepaque Arts & Crafts Village. The most popular menu item is the fish & chips with four chunks of North Atlantic cod that are battered in beer and deep fried until golden brown. The cod comes with a mound of waffle-cut fries, coleslaw studded with golden raisins and black sesame seeds, tartar sauce and ketchup. The second most popular item on the menu is the barbecue pork ribs. The tender smoky ribs have just the right amount of sauce. Don’t forget to try a flight of beer tasters. Open daily 11:30 am to 8:30 pm for lunch and dinner.